Penelitian - The kicks a mother feels from her unborn child may allow the baby to 'map' their own body and enable them to eventually explore their surroundings, suggests new research led by University College London (UCL) in collaboration with University College London Hospitals (UCLH). For the study, published today in Scientific Reports, researchers measured brainwaves produced when newborn babies kick their limbs during rapid eye movement (REM) sleep, finding that fast brainwaves -- a brainwave pattern typically seen in neonates -- fire in the corresponding hemisphere. The findings suggest that fetal kicks in the late stages of pregnancy -- the third trimester -- help to grow areas of the brain that deal with sensory input, and are how the baby develops a sense of their own body. 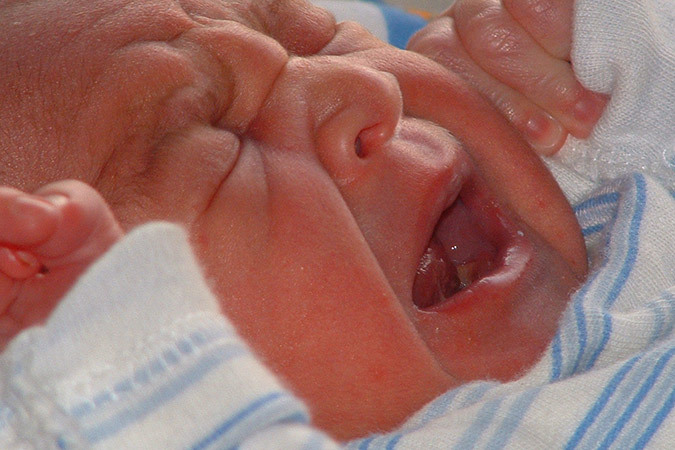 The fast brainwaves evoked by the movement disappear by the time babies are a few weeks old. "Spontaneous movement and consequent feedback from the environment during the early developmental period are known to be necessary for proper brain mapping in animals such as rats. Here we showed that this may be true in humans too," explained Lorenzo Fabrizi of the UCL. "We think the findings have implications for providing the optimal hospital environment for infants born early, so that they receive appropriate sensory input," said Kimberley Whitehead of the UCL. For example, it is already routine for infants to be 'nested' in their cots -- this allows them to 'feel' a surface when their limbs kick, as if they were still inside the womb," Whitehead said. "As the movements we observed occur during sleep, our results support other studies which indicate that sleep should be protected in newborns, for example by minimising the disturbance associated with necessary medical procedures," said Whitehead.